Saturday, April 9th, 2:00-4:00 p.m. 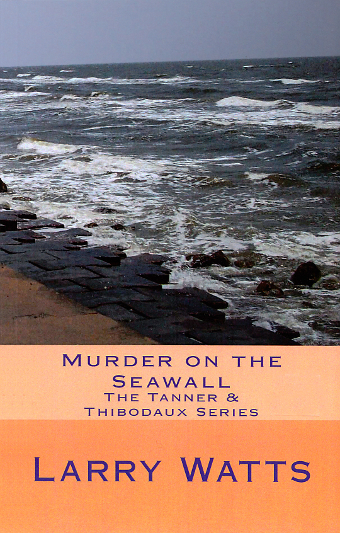 Murder on the Seawall is the third book in the Tanner & Thibodaux series featuring a retired Delta Force soldier and a retired cop, who have teamed up as detectives to fight for justice in the small towns of Texas. Now they travel to Galveston to solve the murder of a wealthy businessman whose tough-as-nails mother has not only hired them, but has instructed them as to who should be arrested for the murder. Tanner & Thibodaux quickly learn the family’s Galveston history which began in the whorehouses and gambling joints at the water’s edge. They also rule out family matriarch, Molly B’s favorite suspect along the way. Larry Watts likes to say that he reinvents himself every 20 years going from country boy, to cop, to labor negotiator, and now author of social justice, crime and mystery novels. Larry draws on his many years in law enforcement in representing Texas peace officers and their investigative procedures in his novels. This is his sixth published novel. He lives on the Texas Gulf Coast with his wife Carolyn.